She'll look adorable wearing this Fendi Girls Beaded Robot Monster Sweatshirt. On the front of there is a stunning 'Monster Robot' incorporating the designer's 'FF' logo in beautiful beads and gems. 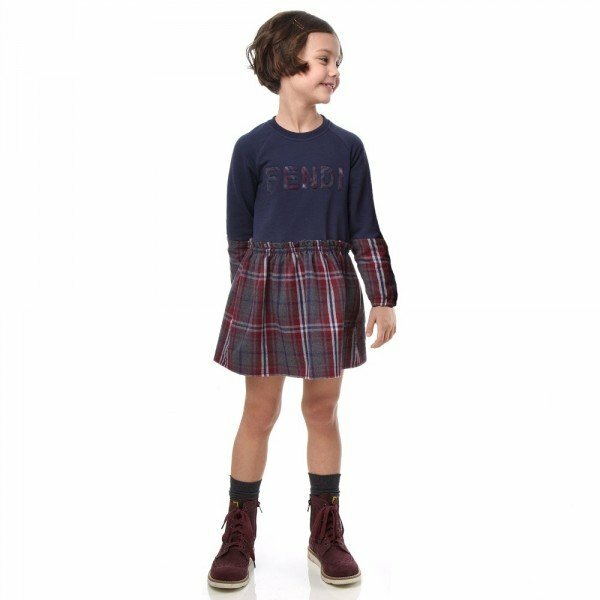 Made with soft cotton jersey, this comfy sweatshirt has matching fabric ruffles over the shoulders, with a ribbed collar cuffs and hem. Complete the look with a pair of matching black shorts, jeans or skirt. Will look great with a pair of Fendi leather monster boots.